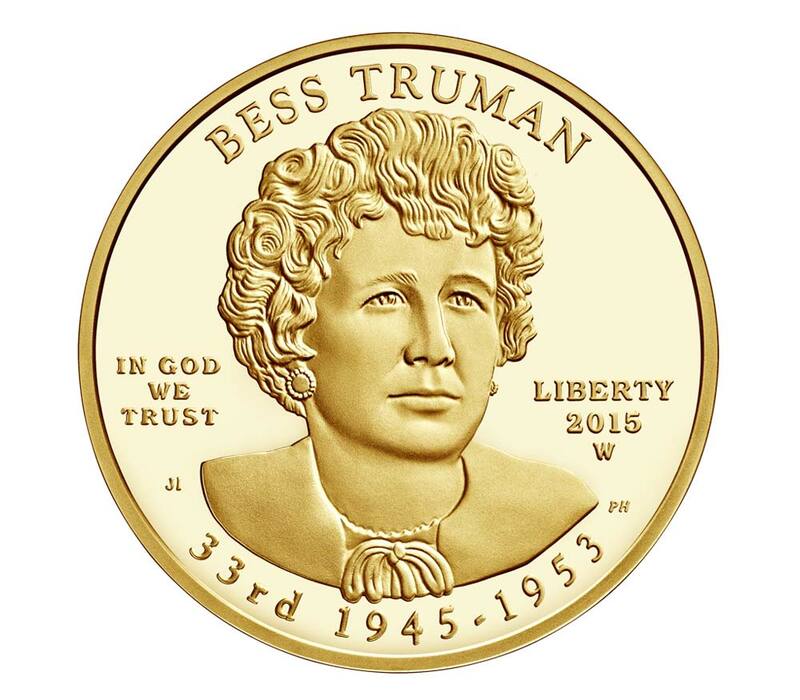 Bess Truman was born Elizabeth Virginia Wallace Feb. 13, 1885, in Independence, Missouri. From the fifth grade through high school, she was a classmate of Harry Truman, and they married in 1919. Truman became a U.S. senator from Missouri, and when he was chosen to be chairman of a Senate special committee, she joined his office staff as a clerk to answer his personal mail and edit committee reports. 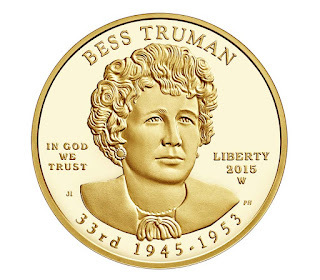 Vice President Truman had been in office just 82 days when he became president and Bess Truman became first lady following the death of Franklin Roosevelt. 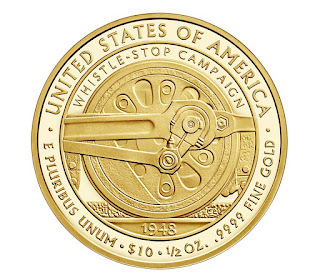 Mrs. Truman accompanied her husband on his whistle stop campaign for re-election in 1948. As first lady, she re-instituted the formal White House social season and was considered one of its hardest-working hostesses. From 1948-1952, the Trumans lived in Blair House while the White House was being renovated, and they hosted numerous garden parties for servicemen there. Mrs. Truman lived to the age of 97, and first ladies Nancy Reagan, Rosalyn Carter and Betty Ford attended her funeral. 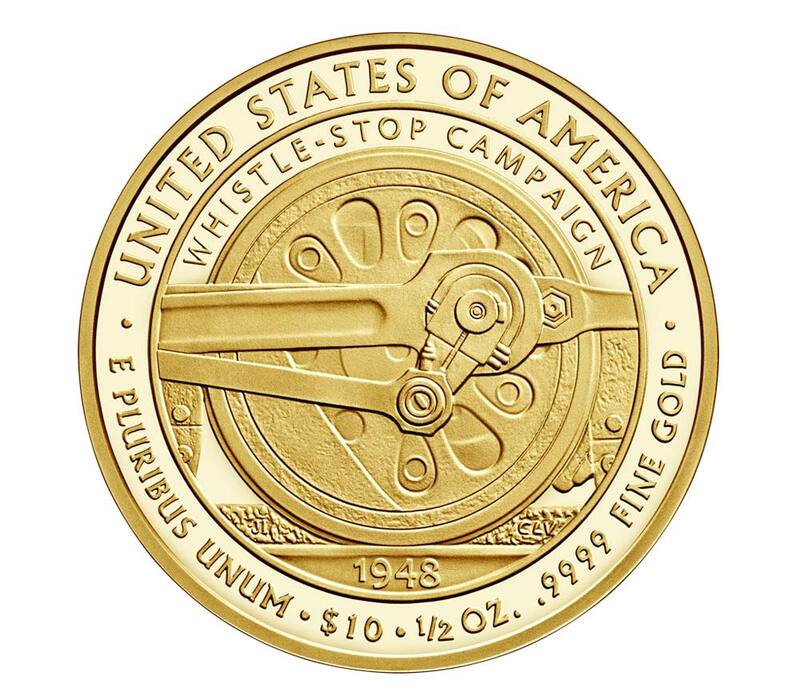 The reverse features a locomotive wheel moving along railroad tracks, representing Mrs. Truman's support for her husband on his 1948 whistle stop campaign trip for re-election as president.